After the long, dark, winter months, spring is literally a breath of fresh air. And as the days get longer, the nights get shorter, and it starts to feel warmer, nature responds in a big way. Step outside and be rewarded with a crescendo of bird song, a display of flowers bursting into colorful life and the welcome sight of animals not seen since last year. 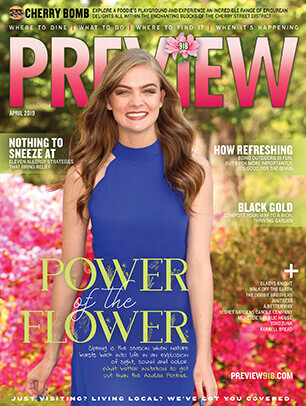 This month we’ve compiled plenty of reasons to get out and enjoy the season including the annual Azalea Festival in Muskogee. What are you waiting for? JUST VISITING? LIVING LOCAL? WE'VE GOT YOU COVERED. Some of Tulsa’s best restaurants and bars are found in the Cherry Street District. Come explore a foodie’s playground and experience an incredible range of epicurean delights all within a few enchanting blocks. Once upon a time, the Cherry Street District on 15th Street was known for a few staple eateries, such as the Coffee House on Cherry Street, and the laidback neighborhood streets where artists and students often made their homes. But Cherry Street is a bit more booming these days, to say the least. Packed with new places to eat, shop, grab a drink with friends, and be entertained, Cherry Street has turned into the cool place to be. In that spirit, we’ve decided to do a fun, festive look at some of its best haunts. We’ve mixed it up by highlighting a few oldies but goodies, while also mentioning some of Cherry Street’s newest offerings to give our readers the flavor of what’s happening in this part of town. And don’t forget about our “Also Check Out” list, which includes a full listing of the many great eateries that make Cherry Street so lively in the evenings and on weekends. Of course, you’re also not going to go wrong by wandering down this part of 15th Street and visiting several spots on our list to enjoy a bit of an impromptu bar crawl — because many of these places have great bars and unique drink offerings. If the weather’s nice, try wandering the neighboring streets on either side before or after your meal to peruse the creative landscaping of the homes there. It’s all part of what makes Cherry Street so much fun. A pizza is a pizza, right? Wrong. 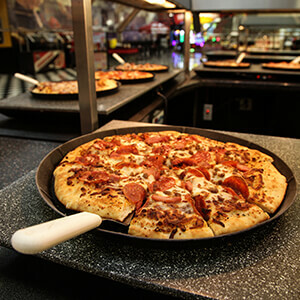 As a place like Prairie Fire Pie proves, pizzas come in an endless variety of styles. The owners of Cherry Street Kitchen firmly believe that their business is all about the people who walk in the door. That’s why they strive to serve great food in a welcoming atmosphere and amazing service. Focusing on breakfast and lunch, the eatery offers favorites like grits, French toast and breakfast burritos, served with locally-roasted Fair Fellow Coffee. Definitely try their famous chicken salad, Caprese melt panini, or the homemade chicken potpie. And don’t forget — they cater too. With all the changes Cherry Street has undergone, it’s good to know some local favorites have stayed around to keep offering the same delicious food we know and love them for. That’s Chimi’s. 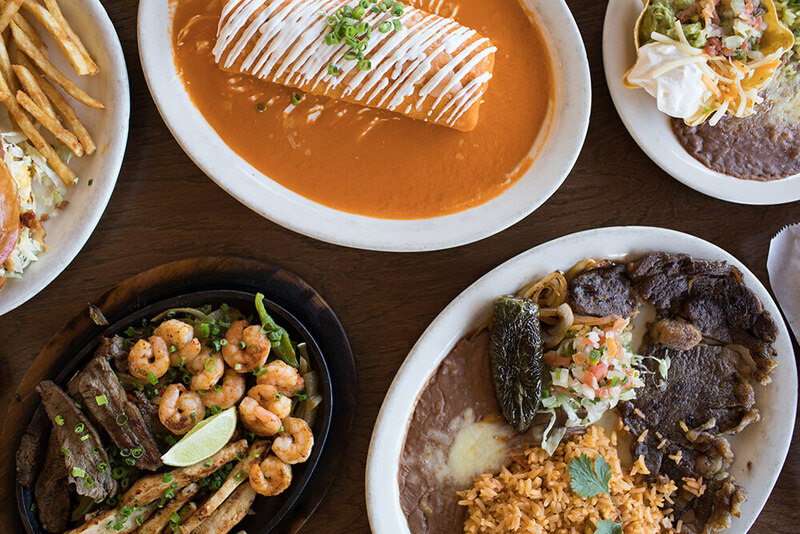 Since 1983, they’ve been serving Tulsans some amazing salsa, queso, guacamole, superb house margaritas, and tasty treats like their generously portioned fajitas and the enormous wet burrito that regulars adore. If you’re adventuresome, get their seafood chowder, made with shrimp, white fish, and scallops in a spicy broth that will instantly convert you into a true seafood lover. Crushed Red’s raison d’etre is that food served quickly should taste great and be good for our planet too. So, when you visit, be aware that you’re visiting a place that engages in practices that are good for the ecosystem. Of course, their made-to-order chopped salads are simply unforgettable. Avocado, tomato, onion, lettuce — yes, you’ll see for yourself. But don’t forget the spiced pears, ahi tuna, habanero honey dressing, and more. It’s without question a salad lover’s delight. They also serve handmade pizzas and can make them gluten-free if you request it. If there was a six-out-of-five-stars rating, Jason’s Deli would get it every time. This place is always busy, but that’s not to say you’ll have to wait a long time to be served. It’s busy because it’s so consistently delicious. Every item on their menu is a legitimate contender for “Best Of” in its unique category. If it’s a salad or sandwich, they’ve got it. Try them once, and you’ll salivate just thinking about your next visit. The great thing about this location is that you can grab a sandwich and then go for a nice walk along Cherry Street. Tulsa is truly blessed to have a Scarpa family-owned restaurant right on Cherry Street. When Jason Scarpa opened his Main Street Tavern all those years ago in Broken Arrow, it brought BA’s Rose District up a couple notches overnight. It’s hard to argue that the same thing hasn’t happened here. Excellent food, full bar service and a fantastic atmosphere are what you can expect. This isn’t just any bar and grill. It’s a great place to see a game, enjoy the company of good friends and to meet and greet, all while consuming delicious food and cold beverages — a wonderful combination you can’t expect just anywhere. Memories are created when you visit this Louisiana-inspired restaurant. Elegant, yet comfortable, with an elaborately decorated speakeasy atmosphere, you’ll be passing a good time every time you order from Nola’s. Choose something from their mouth-watering menu like plump and juicy oysters on the half shell, tempt yourself with some Cajun-fried alligator, or order up a huge, Beaucoup Fried Platter. Whatever you pick, you’ll be saying, “Lawd, I love this place.” Don’t forget to down a couple of Cherry Street’s best prohibition-era cocktails. Oh, and last but not least, attentive servers make your experience at Nola’s unforgettable. A pizza is a pizza, right? Wrong. 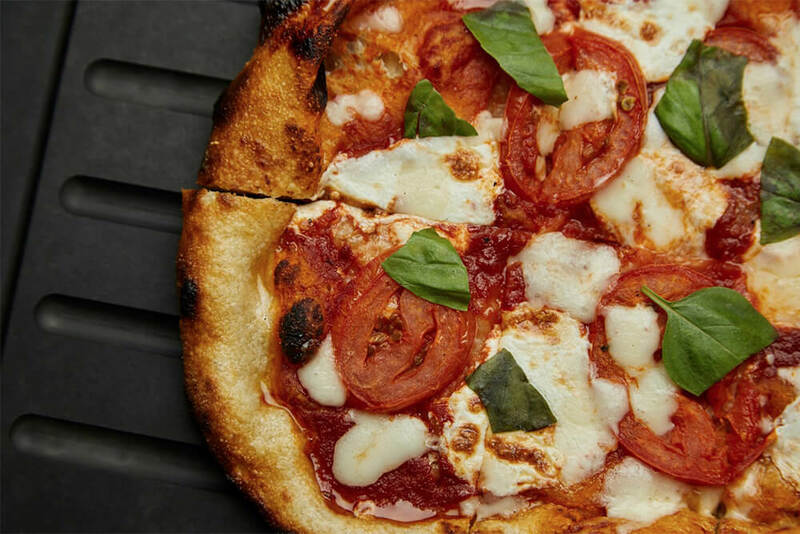 As a place like Prairie Fire Pie proves, pizzas come in an endless variety of styles. Prairie offers something you won’t find anywhere else in Tulsa — West Coast style pies by way of Seattle influence. The light, bubbly, perfectly chewy crust can be topped with some creative combinations, like their white sauce pizza topped with potato and egg, rosemary, pancetta, and arugula. They also serve salads, wings, wood-fired vegetables, seasonal specials, microbrews, domestic beers on tap, and specialty cocktails. Hip? Yes, and then some. Undoubtedly the best outdoor patio on Cherry Street can be found here. Lined tall with glass, the expansive patio is the place for people watching and for being seen. This lively gastropub has that something special for a date night, night out with the girls or any night of fun and frivolity. With a seemingly unlimited list of beer, wine and cocktails, you’ll forget you’re there to eat. But don’t worry, the food is fantastic. Try the tasty salmon ratatouille, a steaming plate of meatloaf or one of their yummy vegetarian items, and you’ll understand what we’re talking about. Plus, the Sunday brunch menu is tremendous. Relaxed atmosphere, splendid food and good times — that’s SMOKE. Yes, the restaurant is comfortable and smartly decorated, but let’s be honest, it’s the food that steals the show. The remarkable Black Angus burger, for example, is a fresh blend of tenderloin, rib-eye, sirloin and brisket. Every flavorful meal on the menu satisfies. Trust us. If you’ve never had their crab-stuffed catfish, you’ll wonder where it’s been all your life. Enjoy fantastic fresh-cut fries, potato salad or any of their delicious sides along with your meal, and you will not regret it. SMOKE. is definitely a Cherry Street gem. 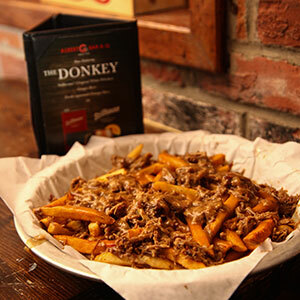 Food that is locally sourced and crafted by hand — this is Cherry Street’s kind of burger joint. And why not? We all love feeling good about a fresh, tasty burger sourced from around these parts. On top of fantastic burgers, all 16 of their beer taps are local beers that you’ve come to love, from right here in Tulsa. Serving handmade hamburger buns, sides and salads as fresh as the day is long, Society Burger aims to please. Inspired by a trip to Greece, the owners of Taziki’s aim to create not just a delicious food experience, but a place where friends and family can gather and connect over food. Taziki’s is all about creating community and celebrating life. Of course, eating delicious Greek food is a part of the experience. From grilled lamb and beef gyros to hummus and baklava, diners enjoy genuine Mediterranean flavors. Or try the char-grilled lamb or herb-roasted pork, which won’t disappoint. In all their crunchy, salty, starchy greatness, our 20 favorite french fry offerings are served in a variety of presentations from curly, thin, thick and sweet to primed for dipping or dressed up with rosemary, sage and truffle oil. While we don't have a signature pizza style a la New York or Chicago, we have so much variety in Green Country that you can just let your taste buds (and our recommendations) lead the way. Cold, sick, or just in need of some heart-warming goodness? 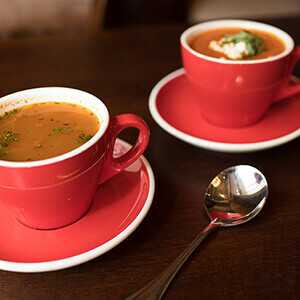 There are few better remedies for the body and soul than a steaming bowl of soup, stew, bisque, chili, goulash, pho or noodles. 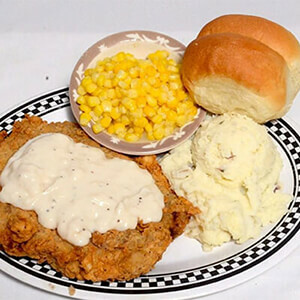 Chicken-fried steak is so popular that it’s served in many establishments, from diners to five-star restaurants, and prepared in several ways, from burgers to breakfast platters. We want to hear from you. 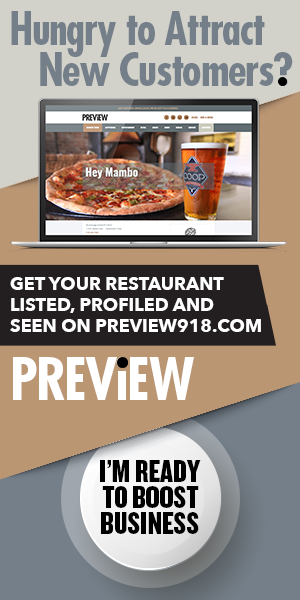 Here’s how to get in touch with the Preview 918 staff. Your submission has been received. Something went wrong while submitting the form. Try again. We are Preview 918. It’s our name. And our philosophy. Where we are. A better question is where aren’t we? Our readers will become some of your best customers. We deliver fun and informative editorial to thousands of readers. 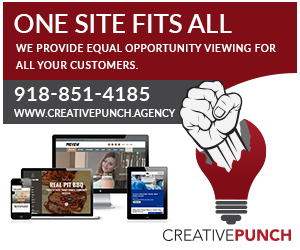 We could be just what you're looking for. And vice versa. Questions. Comments. Kudos. We want to hear from you. Preview918.com claims no credit for any images posted on this site unless otherwise noted. Images on this website are copyright to its respectful owners. If there is an image appearing on this website that belongs to you and do not wish for it appear on this site, please email with a link to said image.